stop. — Douglas Whaley, Professor Emeritus, The Ohio State University Moritz College of Law. Released in 2011, The Crisis of Civilization (IMDB) is a documentary film directed by Dean Puckett and written by Nafeez Mossadeq Ahmed. The latter also penned A User’s Guide to the Crisis of Civilization: And How to Save It, a book that served as the primary source material. A new model for a world that houses everyone, feeds everyone, clothes everyone and takes care of all the basic needs of everyone already exists. No this isn’t socialism or communism. This model is called a resource-based economy. Remember, all systems, whether it be socialism, capitalism, communism or fascism, have all used the same financial and economic model in their political system. Money, that is, has been used as the enslavement tool. The U.K.’s referendum to leave the European Union was a costly decision in more ways than one. As bourses sold off from Asia to the U.S., the fallout from Brexit culminated in the Dow Jones Industrial Average racking up a 600 point loss. Bloomberg’s Billionaires Index noted that the world’s 400 wealthiest investors lost a combined $127 billion in Friday’s market downturn. U.S. INC. must concede .. bankrupt, insolvent, but forcing personage, what is the answer? Listen up people. This SHOULD BE THE MOST SHARED VIDEO ON THE NET … U.S. INC. must concede … bankrupt, insolvent, but forcing personage, what is the answer? … remove their reach to any trust names, period, end of subject.LOOKING TO THE MILITIAS. Because all branches of the government are incorporated as private, for profit corporations, three men petitioned the West Virginia State Government for a return to the rule of law thus honoring their oaths that they be government servants of, by, and for the people, not of, by, and for corporations. Gene Stalnaker, Phil Hudok, and Thomas Deegan then filed legal action in the state supreme court of appeals. This is Thomas’s portion of the live streamed public address that was broadcasted from Thomas’s Parkersburg home on July 24, 2015. We are in the process of birthing a “new world”—- but it isn’t a world built of fantasies and lies about aliens from outer space any more than it is a fantasy built of lies about bloodline superiority and legal fiction entities. These people touting “Galactic” salvation don’t particularly like me, because I don’t fall in line and sing hymns to their fantasies and excuses any more than I follow along as a good little True Believer of the corporate matrix. I do not intend to trade one “box” for another, thanks, and it is ironic that those offering such an option as the “Neu Republique” are the ones accusing me of trying to herd people back into a box based on the past. ❝ A new Chinese-led development bank has approved its first loans and expects to suffer no impact from Britain’s vote to leave the European Union, the bank’s president said Saturday at its first annual meeting. The Asian Infrastructure Investment Bank, launched in January with 57 member governments, already has received expressions of interest from possible additional members, said Jin Liqun at a news conference. He said observers from 24 other nations attended the meeting. ❝ The bank reflects China’s rapidly growing financial might and desire for a bigger voice in global finance, which is dominated by the United States and Europe. Despite initial U.S. opposition, the AIIB attracted unexpectedly wide support from American allies including Britain, France, Australia and South Korea. No doubt Obama is happy at least one client state is obedient. Clearly, the presstitute media lied about the polls in order to discourage the leave vote. But it did not work. US Bank and the rest of the dozen or so mega banks and several “servicers” suffered a heavy blow today although it may take a while for the ruling to sink in. The case is US Bank (on behalf of an empty Trust) v Bolling and was decided yesterday by the Massachusetts Court of Appeals. THE FOLLOWING ARTICLE IS NOT A LEGAL OPINION UPON WHICH YOU CAN RELY IN ANY INDIVIDUAL CASE. HIRE AN ATTORNEY. 23JUN16 – Jerry Day: 00 – The Law is for everyone—Equally! A landmark work! – arnie, just one of the people…an old one at that! Thank you Jerry – I acted on your wonderful work. Now everyone can express in which reality they chose to live! Compliments of the Creator who provided us with free choice..just one of our unalienable rights. 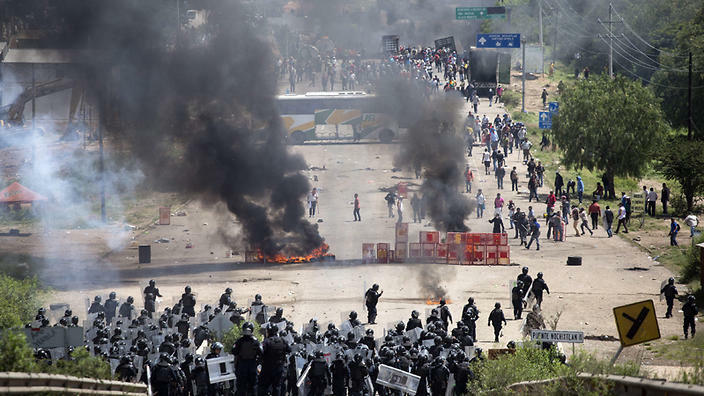 At least eight people were killed in clashes in southern Mexico over last weekend when police and members of a teachers’ union faced off in violent confrontations. Violence erupted on Sunday when police dislodged protesters blocking a highway in the southern state of Oaxaca. The teachers from the radical National Coordinator of Education Workers, or CNTE, are opposed to the mandatory testing of teachers as part of Mexico’s education reform and are also protesting the arrest of union leaders on money laundering and other charges.The eight dead are Oscar Aguilar Ramírez, 25, Andrés Sanabria García, 23, Anselmo Cruz Aquino, 33, Yalit Jiménez Santiago, 28, Oscar Nicolás Santiago, Omar González Santiago, 22, Antonio Perez García, and Jesús Cadena Sánchez, 19. 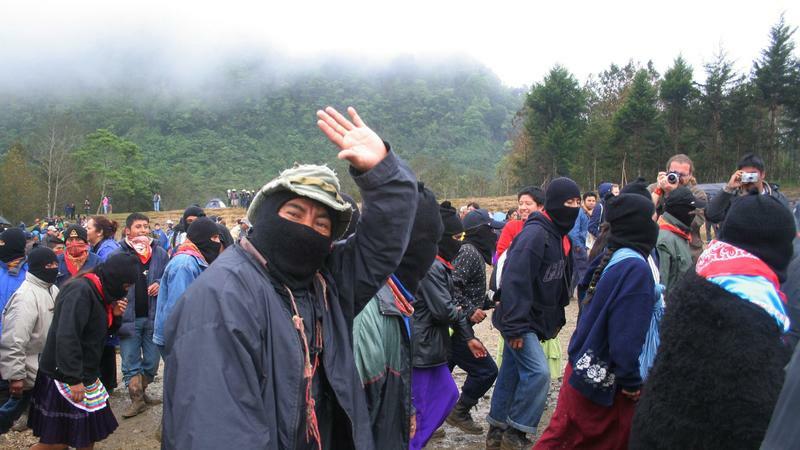 At least 45 others have been hospitalized with injuries, the majority gunshot wounds, and 22 have been disappeared.